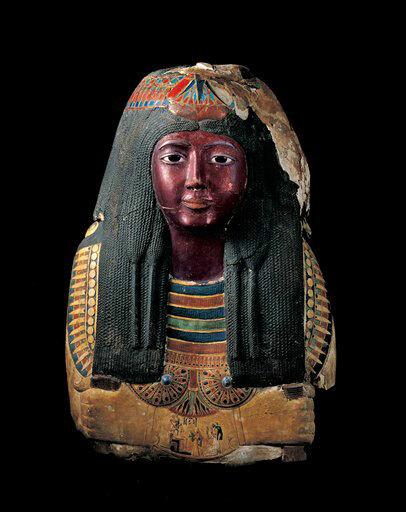 A decision in favor of the St. Louis Art Museum was recently handed down in federal district court in the dispute over one of its prized artifacts–the 3,200-year-old mummy mask of Ka-Nefer-Nefer, an ancient Egyptian noblewoman who lived from 1295 to 1186 BCE. In early January, the U.S. Attorney’s office filed a forfeiture suit against the museum based on the claims of the Egyptian government that the mask was illegally removed from Egypt. U.S. District Court Judge Henry Autry dismissed the U.S. government’s case, citing insufficient evidence to support the contentions that the mask was stolen. Federal prosecutors claimed that the mask went missing from Cairo’s Egyptian Museum over forty years ago. The mask was originally excavated in 1952 from one of the famed Saqqara pyramids, 16 miles south of Cairo. U.S. government investigators suspect that the mask was stolen at some point between 1966, when the mask was shipped to Cairo for an exhibit, and 1973, when the Egyptian Museum discovered it missing. For its part, the St. Louis Art Museum claims that there was no indication the mask was stolen when it was purchased in 1998 and that the museum conducted a sufficient provenance investigation into the mask’s origins. According to research, the mask was part of the Kaloterna private collection during the 1960s and was purchased by Croation collector Zuzi Jelinek in Switzerland. The collector sold it to Phoenix Ancient Art of New York in 1995, from which the museum purchased the mask in 1998. SLAM attorney David Linenbroker stated that the museum has no interest in owning a stolen object and expressed that the museum was confident that it was the rightful owner. U.S. Attorney Richard Callahan stated that no decision has been made as to whether the government will appeal the decision, for which it has 60 days.